Architecture is the organization of material, of matter. ‘A New Nature’ is a book about this organization. In the book architect Anders Abraham presents his extensive research in and work with this fundamental trait of all architecture. The intention is to contribute to the development of new architectures. His starting point is the experience of cities and cultural landscapes as states of change, whose primary characteristics are not the form, but their degree of organization between order and chaos. Consequently, architecture that wishes to relate to its context cannot be fixed. It has to be in a state of change itself. Anders Abraham’s book is a book about an architect’s work, about his investigation of the character of materials, their states between liquid and solid, and their possible assemblage. Thus, it is also a book about materials, about putting things together. About fabrication. In his work with the material, the author searches for connections, relations, processes and ‘narratives’ that can be developed into new forms of organization. New architectures. Towards the end of the book, seven highly convincing architectural projects are presented as examples of the author’s own proposal for a new architecture – new ‘architectural conditions’. 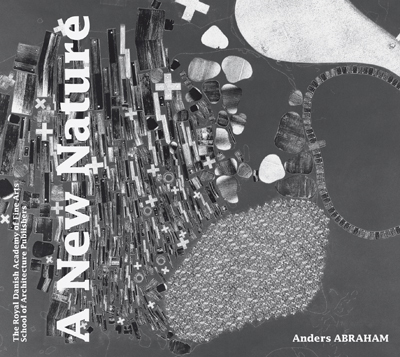 ‘A New Nature’ is very much a visual book. The amount of outstanding drawings and photos bring us very close. Close to working with materials, right into the studio. Close to intense processes. Close to a very talented architect who works with great passion and dedication. An architect who allows us into his world in order to open up new worlds. This is a very special book about architecture.